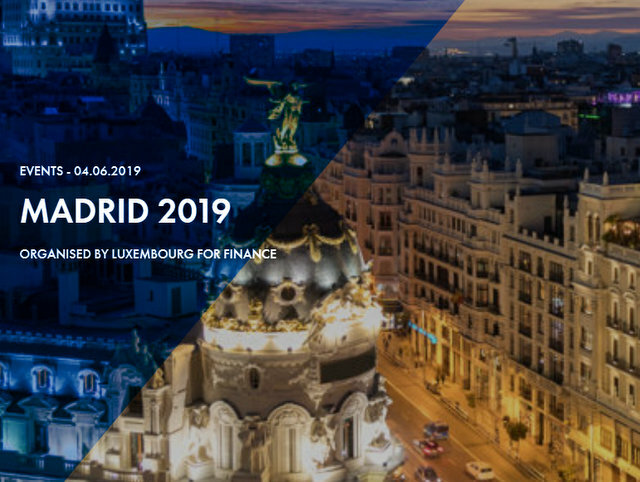 Luxembourg For Finance is inviting you to its seminar in Madrid. Join the various panels where key experts will discuss the most recent developments in wealth management, investment funds, private equity and life insurance. Get an overview of the services and solutions the Luxembourg financial centre can offer Spanish asset managers, banks, wealth managers, insurance companies and other financial service providers. The President of the Luxembourg Private Equity & Venture Capital Association (LPEA), Rajaa Mekouar-Schneider will be moderating the panel on “The Growing Appetite for Alternatives”. Registration before the 27 Mai 2019. More details: here.